Tia Mowry is an American actress and model. She was born in Germany, while her father served in the US army. 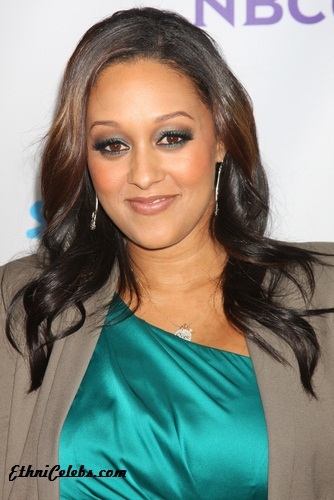 Her siblings are her twin Tamera Mowry, and younger brothers Tavior and Tahj Mowry. Her father is white, and has English ancestry, and her mother is black, of Afro-Bahamian descent. Tia is married to actor Cory Hardrict, with whom she has a son. It want work. First like everyone else Bi-racial people are not the same. You have all kinds of combos of Bi-racial people, you would have to give each one a category. Then what about people who are Triracial, or who have four bloodlines, why not give them a category. The only thing that’s going to happen, is another caste system(they’ve worked out so well). All that does is cause more animosity. How about we just stop the categories period? What an idiot. All mulattoes look the same, it doesn’t matter which parent is white. Your logic is stupid as f*ck.